Taiwan MYTV HD 700T | DES INTERNATIONAL CO., LTD.
Watch and record Free-to-air HD and SD digital TV (DVB-T) on your Mac. Watch and record live digital HD or SD TV, chat about TV shows online with other programme viewers and schedule TV recordings while you're on the go. myTV-700T HD includes the latest generation of The Tube from equinux. The Tube is a powerful application for the Mac for TV watching, recording, on-line TV chat and streaming live TV to your iPhone*. Use the Apple remote control to change channels and start recordings. 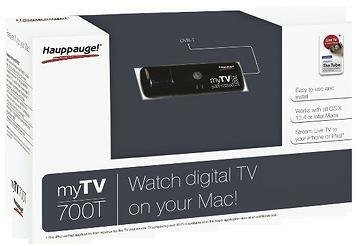 Free-to-air DVB-T digital TV brings you sharper pictures and better sound: DVB-T free over-the-air digital TV enriches your Mac's video experience with sharper TV with CD quality sound. Record Free-to-air digital TV programmes in native digital quality. Record your favourite digital TV programmes in their original digital quality. Play your TV recordings back to your screen at any time. Automatically synchronise your TV recordings with iTunes. And use an iPhone to schedule TV recordings while you're on the go*. Now available on the Apple store: Send live TV to your iPhone, iPad or iPod Touch over Wi-Fi! 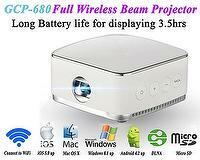 Stream live TV from myTV-700 to your iPhone or iPod through a local Wi-Fi connection. 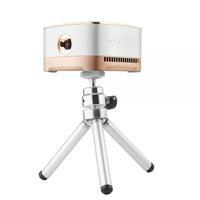 Watch TV from anywhere in your home. You can even change the TV channel on the The Tube and start a recording with your iPhone or iPod*. The iPhone/iPad application from equinux is called "The Tube" and is available from the Apple app store at an additional cost. ‧ Watch and record Free-to-air digital HD and SD TV (DVB-T) on your Mac. ‧ Includes the highly rated The Tube application from equinux for TV on your Mac. Watch Free-to-air digital TV, record digital TV programmes and chat about the TV programme you are watching with The Tube! ‧ Use The Tube to stream TV from your Mac to your iPhone, iPad or iPod touch over Wi-Fi. Your iPhone can also be used to control The Tube remotely*! 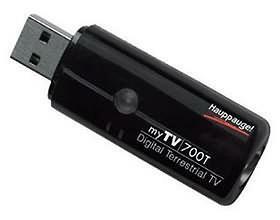 ‧ Record digital TV programmes on your hard drive in the original digital quality. ‧ ‧Schedule your recordings in just a few clicks.